A Mercedes-Maybach expands the pleasures of motoring to new dimensions. Its lengthened wheelbase heightens your comfort. Exquisite appointments reach beyond accommodating. And with distinctive new details, it’s travel in one of its most distinguished forms. 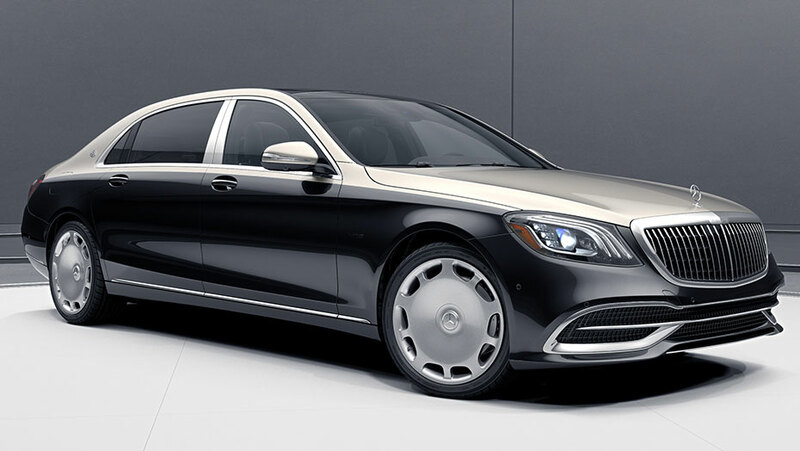 A Mercedes-Maybach carries itself as elegantly as it carries its passengers. It’s not merely stretched but artfully, and aerodynamically, sculpted to command the eye as well as the road. 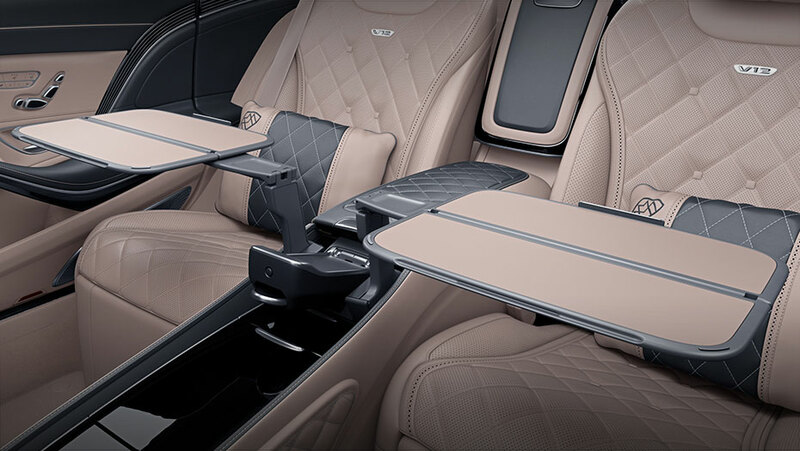 And exclusive styling envelops a cabin at the pinnacle of luxury. What makes tomorrow’s classic is how captivating it is today. A new, bespoke grille cascades with fine chrome vanes. And rich new paintwork can drape its sweeping yet majestic body in impossibly deep gloss or dramatic new two-tones. A network of radar, camera and navigation technologies act to anticipate what’s ahead and watch all around you. From negotiating traffic to changing lanes with a tap of your finger, new systems collaborate to help make travel easier, safer and smoother. 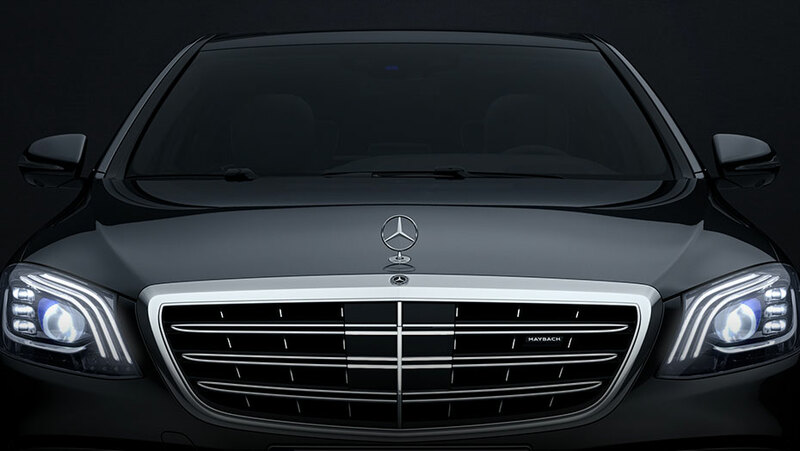 Unmistakable triple-band LED Daytime Running Lamps attract other drivers’ attention and everyone’s admiration. Ultra Wide Beam active LED headlamps better illuminate the roadsides. LED taillamps sparkle with a new “Stardust” effect. 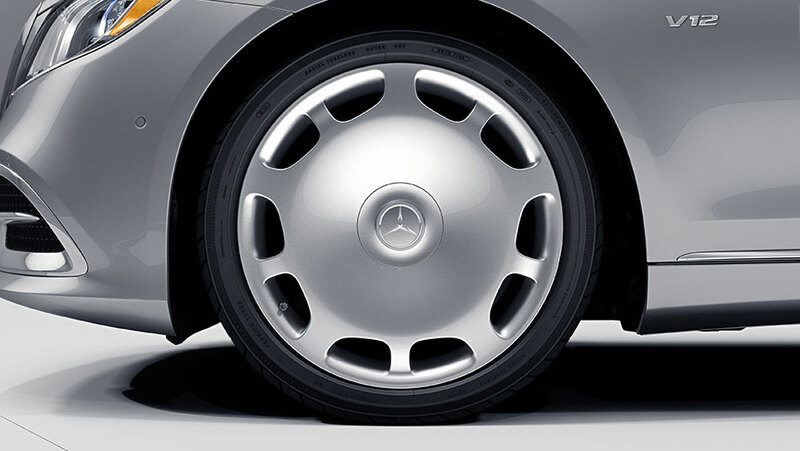 The S 560’s self-leveling AIRMATIC suspension adapts at each wheel to take corners and bumps in stride. The S 650’s MAGIC BODY CONTROL camera-scans the road ahead, to proactively counteract bumps and dips as you reach them. It can even lean into curves like a slaloming skier. The advanced 4.0L biturbo V8 in the S 560 turns racing-born technologies into 463 hp with exceptional efficiency. The S 650’s handcrafted 621-hp biturbo V12 generates a torrent of torque with seamless ease. With nine speeds, the S 560’s 9G-TRONIC transmission is swifter, smoother and more versatile. The S 650’s 7-speed handles its massive V12 torque with ease. Both offer quick takeoffs, quiet cruising, and seamless acceleration in between. 1 Some systems are optional. Even the most advanced safety systems may not be sufficient to avoid an accident. It is the driver’s responsibility at all times to be attentive to traffic and road conditions, and to provide the steering, braking and other driving inputs necessary to retain control of the vehicle. Drivers are cautioned not to wait for system alerts before braking or taking evasive action, as that may not afford sufficient time and distance. See Operator’s Manual for system operating speeds and additional information and warnings. 2 While the navigation system provides directional assistance, the driver must remain focused on safe driving behaviour, including paying attention to traffic and street signs. The driver should utilize the system’s audio cues while driving and should only consult the map or visual displays once the vehicle has been stopped in a safe place. Maps do not cover all areas or all routes within an area. 3 Apple CarPlay™ is a product of Apple Inc. Android Auto is a product of Google Inc. Device and app providers’ terms and privacy statements apply. Requires connected compatible device and data plan. Apps, content and features are selected solely by their providers. Connection to apps and streaming services may be limited by the device’s network connection. Data usage is routed through device and subject to fees, charges and restrictions in user’s wireless plan. Vehicle’s factory audio/information interface, including COMAND® navigation, may not be used simultaneously with Apple CarPlay or Android Auto. When Apple CarPlay or Android Auto is in use, the steering-wheel voice control button accesses Siri® or Google voice recognition software for voice commands. 4 Wireless charging and NFC pairing available only for devices with compatible technology and size. See Operator’s Manual for more information. Devices sold separately. 5 No system, regardless of how advanced, can overcome the laws of physics or correct careless driving. Please always wear your seat belt. Performance is limited by available traction, which snow, ice and other conditions can affect. Always drive carefully, consistent with conditions. Best performance in snow is obtained with winter tires.